Be a hero in the Alviera Hero Camp, where heroes-to-be camping weekend at Alviera in Porac, Pampanga happening on October 15-16. Campers may enjoy the SandBox attractions with hero training crash course, craft your own costume, superhero movies under the night sky, stargazing with astronomers and so much more. Unleash your inner powers in this one-of-a-kind Halloween camping adventure! Every superhero needs to learn the basics. Join and discover how you can make it out alive in the outdoors with basics of camping and field survivals. Learn the first steps in defense and martial arts! Pick up the discipline, and learn amazing tips about health and keeping yourself in superhero shape from our expert superhero mentors. Conquer evils of Halloween with your skills and agility featuring Aqtiv Archery’s target course, unleash your superhero powers as you dodge and hit evil monsters and defeat dastardly ghouls. Come nightfall, scare those Halloween monsters away and wear your costumes proud. Wander around the whole SanBox in your best hero garb as kick-off the evening’s Trick-or-Treat! After the parade, kids are allowed to go to the different stations of SandBox and the camping area all evening, for a fun Trick-or-Treat of heroes. Parents who attend the camping are encouraged to bring their own treats to give to our little heroes. Map out the stars and find galaxies far, far away! Our amazing star experts from The Mind Museum will help you see beyond the skies. Get inspired with amazing hero movies featuring your favorite incredible films and Hollywood Halloween flicks. Wake up to a buffet breakfast fit for superheroes! It is a special spread for campers who are ready to face the new day as the heroes they truly are. A portion of the proceeds from the Alviera Hero Camp goes to the HERO FOUNDATION, which provides educational assistance to children and dependent siblings of Filipino soldiers. Not only that, have fun with our soldiers’ children and siblings as they attend the Hero Camp as well. Participants may join and choose from two packages. 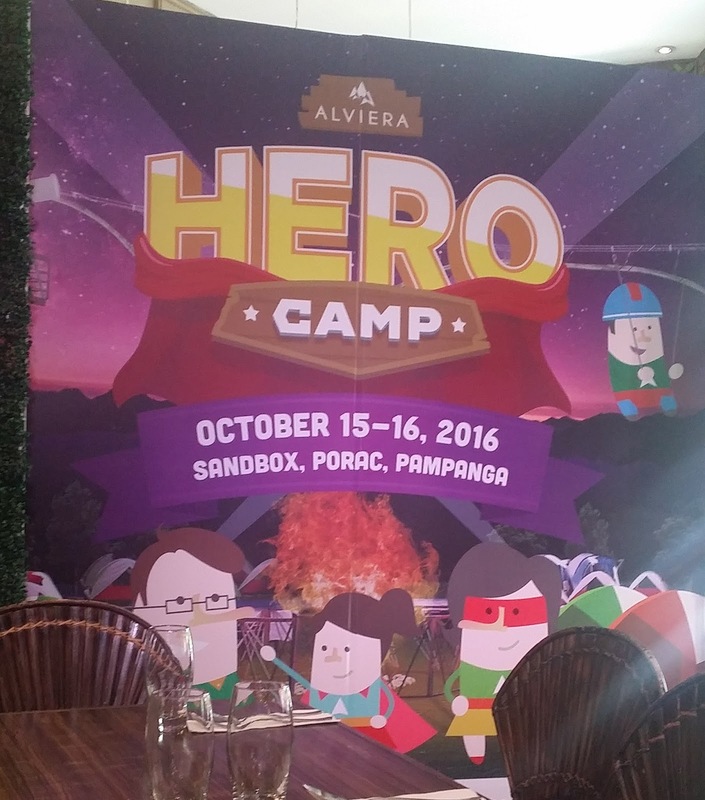 Participants to the Alviera Hero Camp are encouraged to take their hero shots in camp and post them on social media tagged with #ALVIERAHEROCAMP. The fun continues after camp when Alviera picks the best photos to win cool prizes. For more information, visit travelfactor.org/alvieraherocamp for more details. 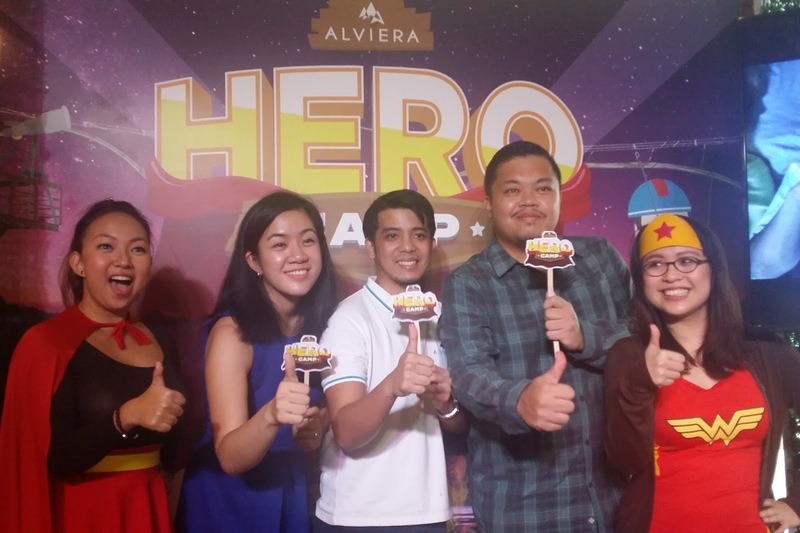 Article and photos were taken by Rejj Sibayan, IamACEsome’s official representative to the launch of Alviera Hero Camp held at Sentro 1771, 2/F Greenbelt 3, Makati City.